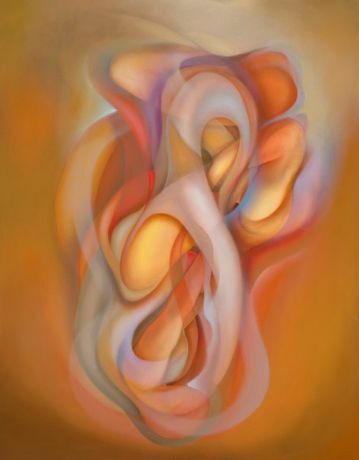 Zari Gallery is proud to present Armando Alemdar Ara's exhibition "Encounters: Journey to Abstraction". 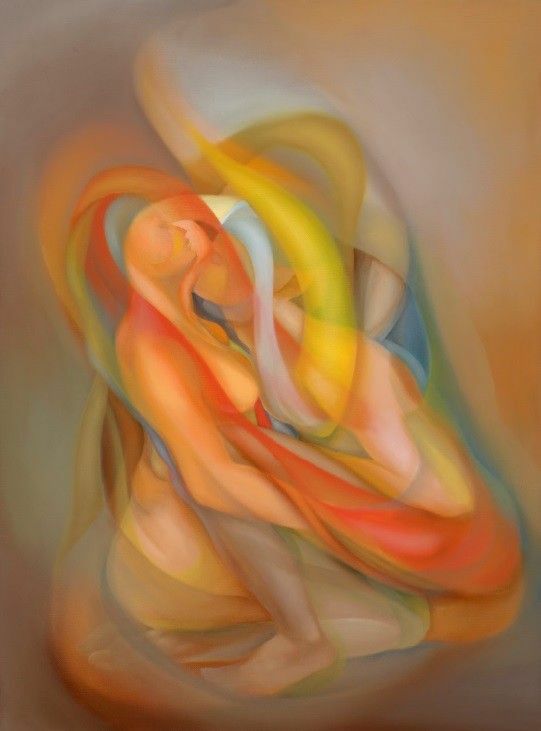 "Armando Alemdar Ara’s art is romantic, not in the sense of Delacroix and Gericault, but rather in the German intellectual sense as expressed by the philosopher Hegel. While universal in their subject matter and appeal, Armando’s pictures are faithful to their sources. Armando dematerialises the nominal subject, creating a depiction of the idea embedded in the picture’s spiritual values. The true abstraction is two-fold, comprising analytical compositional methods and an a priori commitment to abstract representations of the story’s spiritual values. 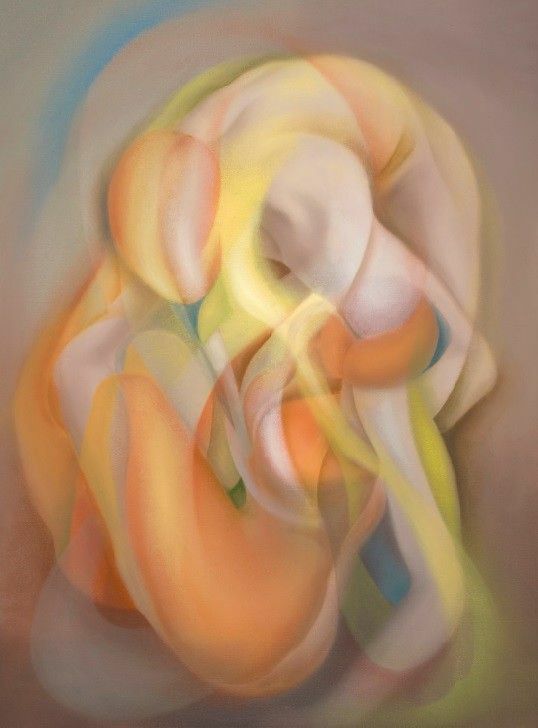 Armando enters into the idea of the subject by using a technical approach related to Cubism. He then moves to a reduction and stylisation of form related to Kandinsky’s compositions, which reveals the form’s spiritual essence. Armando is a natural draughtsman. The first sketches for his pictures reveal informed, accurate and lyrical lines, which capture the spirit and idea of the human figure. 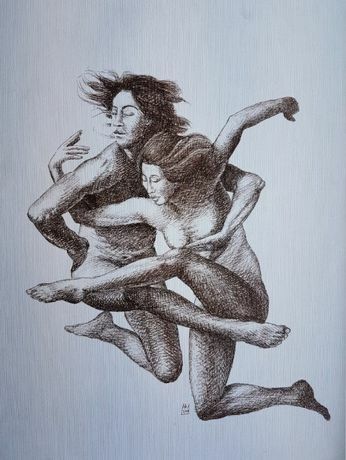 The setting of the figures is traditional and natural, and customary for a picture’s progress from drawing to painting. In the second, analytical stage, Armando uses shading and delineation of form to refigure the subject, preparing for the abstraction of the finished work while retaining the sensuous form of the initial sketch. Armando proceeds directly to the canvas with his brushes. The panting method is according to established Renaissance practice: he applies a Venetian red ground in white primed linen canvas, retaining the fabric’s tactile quality. Armando paints from darks to lights, glazing and accenting the highlights at the end. His choice of colour is consistent. The underpainting is in colours complementary to those of the finished work, indicating that making pictures like this depends not only on vision, but also on astute planning. Every element in Armando’s pictures is justified in terms of the whole composition. Armando’s pictures are transfigured by artistic engagement: he is a sufficiently bold artist to risk inhabiting his subject and he does so with passionate conviction. The attentive viewer cannot but be intrigued, if not enthralled, by the quiet dignity of Armando’s artistic engagement with his subjects. The magic that envelopes his canvases is nothing but a pure commitment to spiritual expression. Encounters exemplifies this commitment. It is not only a testament to the unity that we can reach when we truly love one another but it also bears witness to the Oneness that we have all come from.